I read this article and found it very interesting, thought it might be something for you. The article is called Rocket Round Up: Is there such a thing as a born entrepreneur? and is located at https://www.rocketlawyer.co.uk/blog/rocket-round-up-is-there-such-a-thing-as-a-born-entrepreneur/. Rocket Round Up: Is there such a thing as a born entrepreneur? Are entrepreneurs born or made? This article suggests that you don’t have to have been running a lemonade stand outside your house from the age of 5 to be a success in business. These two young people, for example, who were struggling to find work, got a a small amount of funding to get them started and are now running their own successful businesses, while Will Butler- Adams, boss of Brompton folding bikes, got his break after a chance conversation on a coach trip! A study has revealed that flexible working could boost the UK economy through increased productivity and cost reductions totalling 8.1 billion. In this article, Nicola Bird, founder of JigsawBox.com, explains how flexible working operates in her business and Mashable suggests the 8 best apps for team collaboration. The Federation of Small Businesses were encouraging businesses to be disability confident and flagging up the guidance offered by the DWP on how to support people with disabilities and long term health problems in work. On the Rocket Lawyer UK blog, RLUK’s Head of Legal, Pieta Das Gupta has been examining the proposed consumer rights changes and what they mean for small businesses. 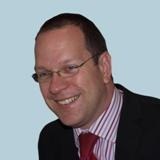 Rocket Lawyer UK were also delighted to welcome Harvey Harding, Head of Private Client Services at PM Law, as a guest blogger to the Rocket Lawyer UK blog this week, looking at how landlord investment in residential property has increased significantly in the last few months. 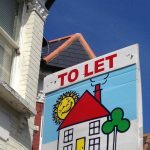 Rocket Lawyer UK offer a suite of documents and guidance for people wishing to rent out their property on our property hub. Tech City News reported that the number of apps is exploding, driven by a huge increase in the number of mobile devices — and people are using those apps all day long. You can even go house hunting on your smartphone as this roundup of apps and websites that can help you find your dream home demonstrates. How can you maintain an offline/online balance in this mobile hyper-connected world of the 21st century? Yep, there’s an app for that!